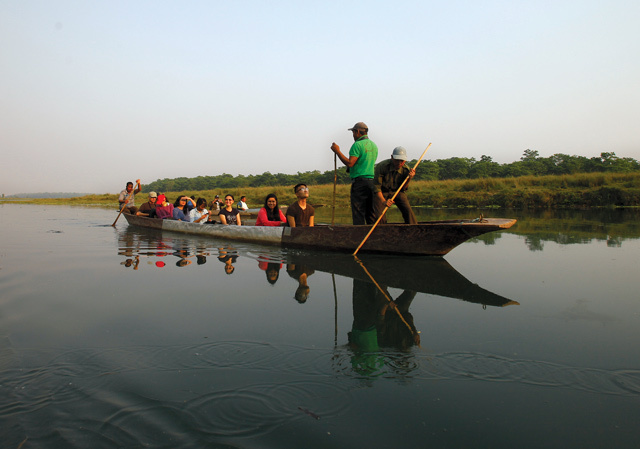 Spread over 932 square km, the vast Chitwan National Park is Nepal’s showcase conservation success story. It has restored the original population of tigers, rhinos and other wildlife through habitat conservation, and reduced poaching to zero. However, the debate has resurfaced about whether to allow high-end resorts inside the park that can potentially fund conservation efforts. For decades, Chitwan was synonymous with Tiger Tops Jungle Lodge, the luxury resort that introduced Nepal and its national parks to the world. But the hotel lost its license in 2012, and there has been a prolonged legal battle to restore the contract. But hoteliers, including Kristjan Edwards of Tiger Tops, argue that Nepal should go for upmarket tourists who are willing to pay more for an exclusive safari package, and fund conservation activities in Nepal’s national parks through the hefty royalty hotels will pay. “We need to have concessions inside the parks more than ever now, and Tiger Tops has a proven record in having minimal impact and in helping conservation,” Edwards said. Several other lodges besides Tiger Tops were evicted from Chitwan National Park four years ago after their contracts on the government leased land expired. Critics said the decision was politically motivated by hoteliers in Sauraha who could not compete with the high-end hotels. However, the government said at the time it based its decision on an assessment by a Cabinet Committee that saw hotels inside the park as a threat to the ecology and wildlife of the area. Acting on a writ filed the same year, the Supreme Court denied renewal of their contracts and asked the lodges to shut all operations. However, the Supreme Court nullified the writ in October 2014, allowing park lodges again. “Hoteliers have demanded that we look into the issue, so we are trying to draft a manual as fast as we can,” said Uday Chandra Thakur, Secretary of the Ministry of Forest and Soil Conservation. While wildlife conservationists warn that allowing concessions inside the park can have an impact on the ecology of protected areas and disturb the wilderness, the government is drafting a Tourism Concession Manual which will re-allow resorts inside national parks as long as they abide by strict guidelines. Conservationists fear that restoring resorts inside the park will open a floodgate of new concessions that could irreversibly damage conservation work so far. They say flora and fauna have regenerated in areas where the resorts used to be located. “We can now hear the roar of the tiger, which was rare before,” says Prasanna Yonzon of the group Wildlife Conservation Nepal. Fanindra Raj Kharel, Director General of the Department of National Parks and Wildlife Conservation wants stricter regulation and tougher criteria to decide who should get licenses. “We want to facilitate competition, if the business is willing to pay royalty fees and take conservation efforts forward we have no problem with it,” he told Nepali Times. The government aims to monitor activities of lodges and establish a list of do’s and don’ts before permitting new resorts inside protected areas. Additionally, it wants to be transparent by introducing a tender process where the highest bidding hotel gets the lease. Besides Chitwan National Park, concessionaires are also looking to set up lodges inside other protected areas like Sagarmatha, Langtang, Makalu Barun, and Rara National Park. Eco-tourism projects that allow hotels inside national parks in North America and Africa have been sustainably managed through strict monitoring and local community engagement. But WWF’s Gurung is skeptical. 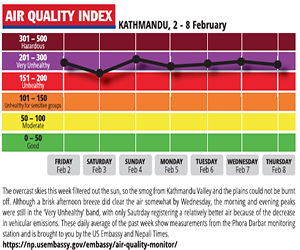 “The guidelines may work in national parks like Langtang or Bardia where there are buffer zones. But Chitwan already has so many hotels in its buffer zone. 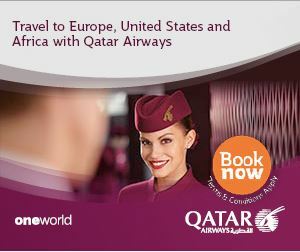 If they only allow limited hotels inside then that will raise questions as to why others were not allowed,” he said. The lodges were paying up to Rs 30 million a year in royalty to the government, and this went to the upkeep of Nepal’s national parks. 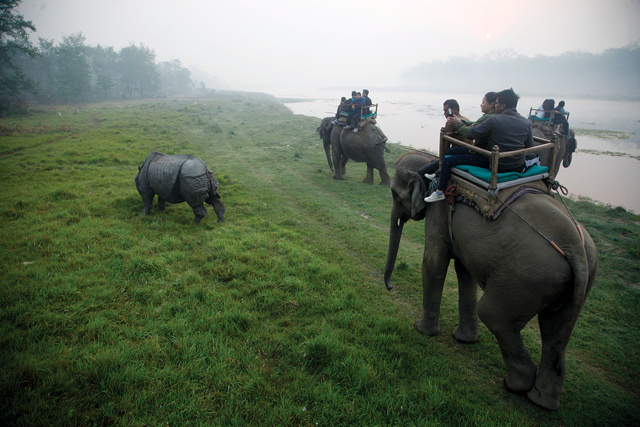 Former Hotel Association president and owner of Machan Wildlife Resort, Prakash Shrestha, said there has been a marked drop in high-end tourism in Chitwan, which is Asia’s number one safari site, since 2012. "Is this how you'll run things in your people's democratic republic?"